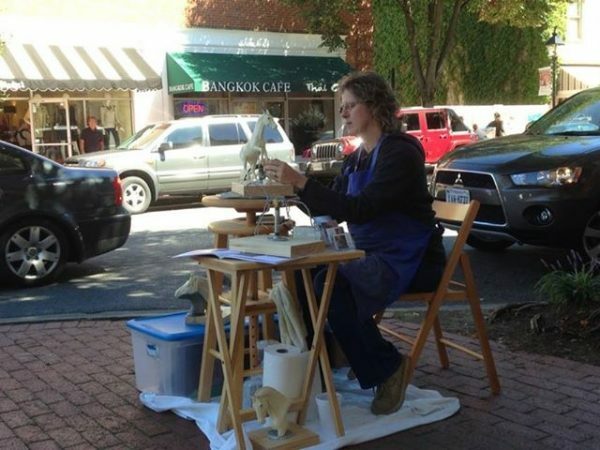 Sculpting at the corner of Caroline and George! I had a ball sitting on the corner of Caroline and George Streets with several artist friends including Paula Raudenbush, Linda Warshaw, and Collette Caprera! 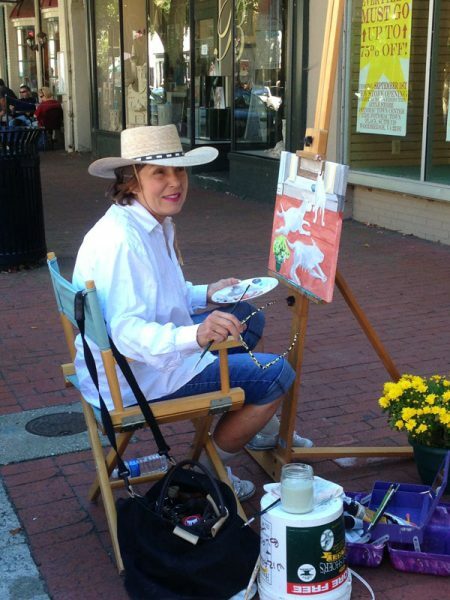 This was the second year for the Fredericksburg, Virginia “Art Attack”! “Art Attack” was the wonderful idea of Bill Harris and Gabe Ponz where they mustered area “art soldier” artists to descend upon the streets of Fredericksburg to demonstrate and share their art. This year was much more widely promoted and the crowds were wonderful! 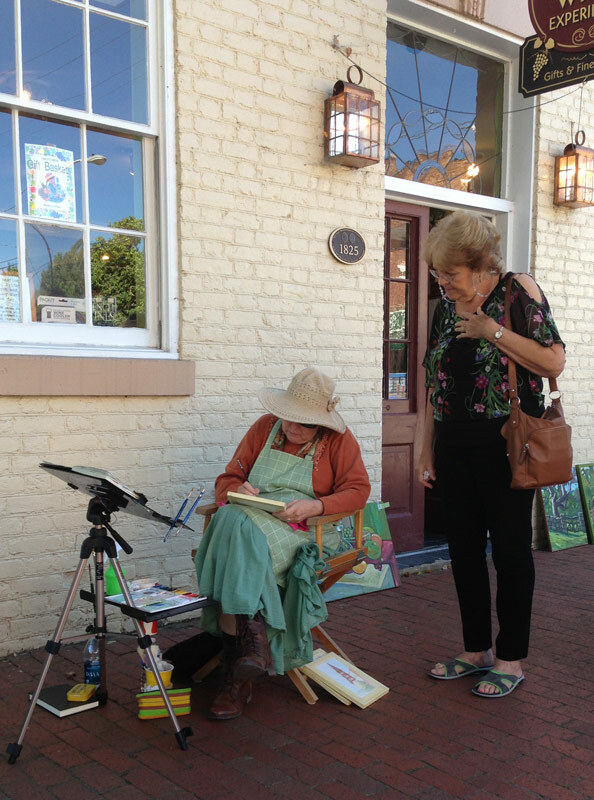 We had a beautiful day and eighty local artists participated including not only 2-D and 3-D mediums but also performing artists! I again chose to work with the oil-based clay and to describe the process of taking an original in clay, making a mold, and then throwing a wax version from the mold which is the starting point of the lost was process for creating a bronze sculpture. 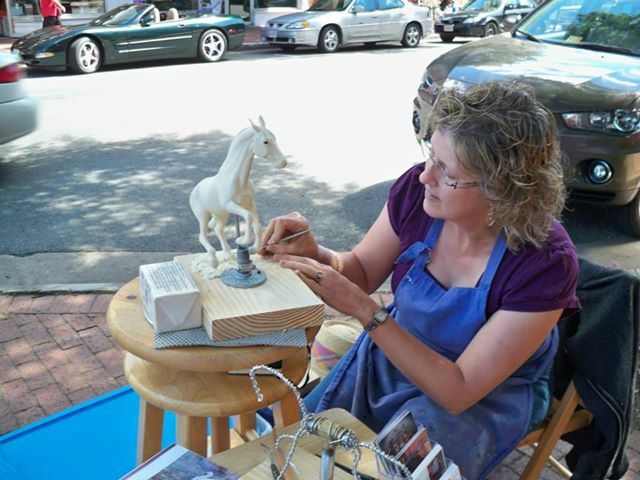 The Freelance Star 14 September 2013 article “Artists take to the streets of Fredericksburg” highlighted my equine sculpting and how much I enjoyed describing the bronze casting process to interested onlookers.One of my favorite things about “Art Attack” is the response of the kids to the sculpture process. Maybe next year I’ll bring some non-toxic clay so they can share in the fun with me!